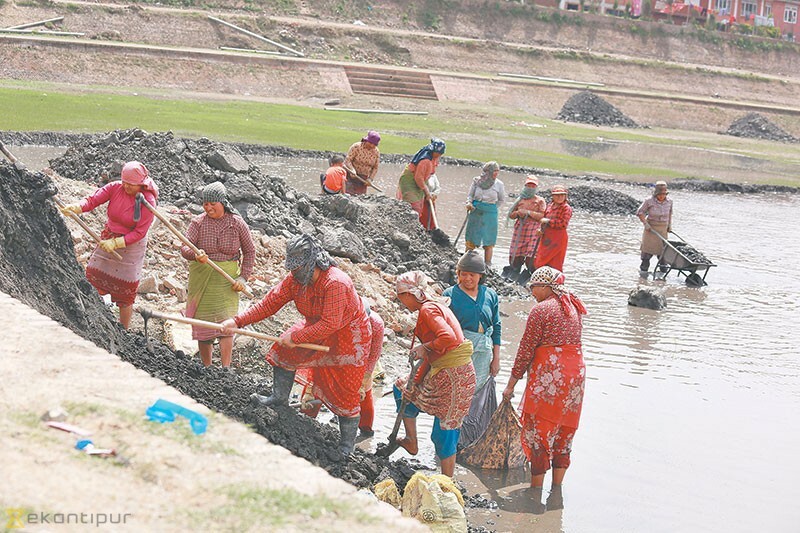 For decades, Bhajya Pukhu (Bhaju Pokhari), which lies across the road from Siddha Pokhari—one of Bhaktapur’s most famous landmarks—was more a field than it was a pond. The two levels of walkways made for the perfect running track for early morning joggers, its lush greens a great spot for kicking a football around. Over the years, Bhaju Pukhu has played host to picnics, sports days, even a motorcycle drag race; and when the 2015 earthquakes ravaged Bhaktapur’s old settlements, the pond transformed into a tent city housing hundreds of anxious residents.